White River Wolf Pack (photo courtesy of Wildlife Department BNR - Confederated Tribes of Warm Springs). 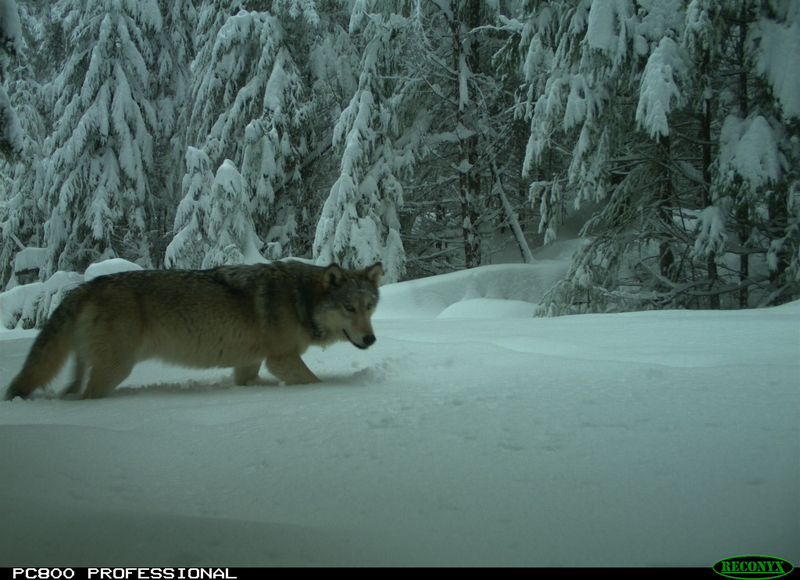 Eugene, OR — Today, the Oregon Department of Fish and Wildlife confirmed gray wolf activity through track sightings and remote camera images in the Umpqua National Forest north of Highway 138. The Indigo wolves are using a large wild area that spans Lane and Douglas Counties and the Willamette and Umpqua watersheds. The news marks the third confirmed group of wolves to return to the Oregon Cascades since they were exterminated nearly 70 years ago. 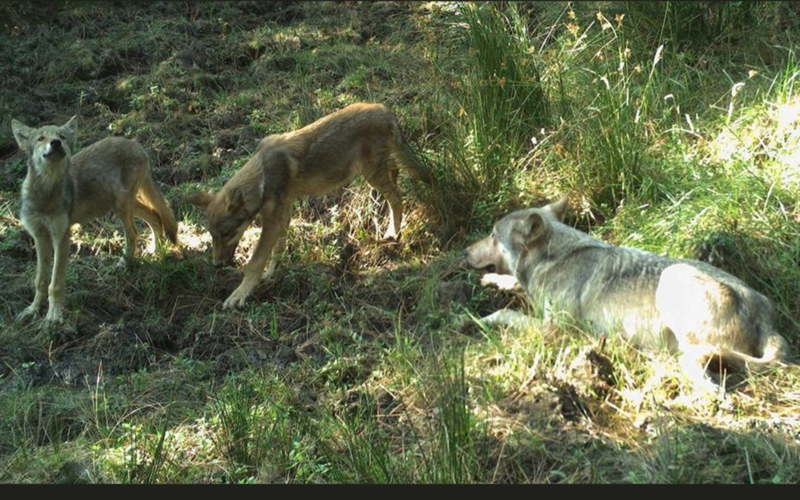 Last year, the White River Pack was documented south of Mt. Hood, and the Rogue Pack, which consists of OR-7, has been established south of Crater Lake for four years. Last week, the Trump administration proposed a rule to strip federal Endangered Species Act protections from gray wolves across the lower 48 states suggesting that the species was recovered. However, many states in the West, including California, Colorado and Utah, have extensive wolf habitat but few or no wolves currently residing there. In 2016, state of Oregon prematurely delisted gray wolves from its Endangered Species Act. Cascadia Wildlands and co-plaintiffs are litigating that decision now, arguing the decision was not grounded in science. The Oregon Wolf plan is also overdue to be updated. A recent draft of the updated plan significantly weakened protections for the species. Conservation organizations are calling on Governor Kate Brown and her Fish and Wildlife Commission to strengthen the plan while wolves gain a toehold back in the state. At the end of 2017, a minimum of 124 wolves across 12 packs called the Oregon home. 2018 numbers are expected in April. See coverage from the Register-Guard. See coverage from Bend Bulletin. ** The above image is a remote camera image by US Fish and Wildlife Service of one of the Indigo wolves. Previous Previous post: National Wolf Protections in Jeopardy, Take Action Today!